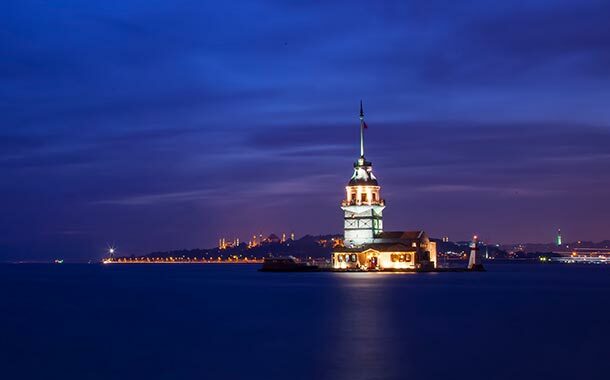 Famous for its stunning landmarks, Turkey is an enchanting country which is a haven for history lovers. Explore the birthplace of many civilisations, empires, historical figures, and legends together with a mixture of several ethnic origins. 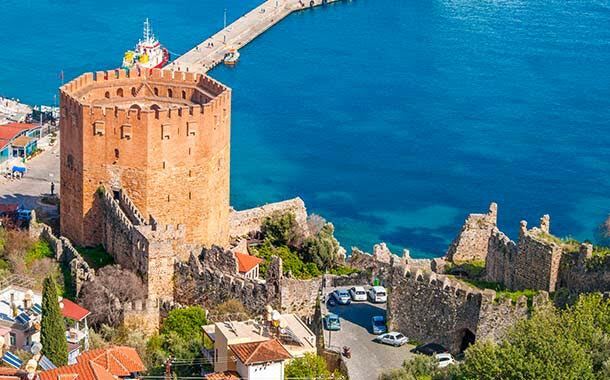 A medieval castle in the city of Alanya. Architectural Style: Seljuk. 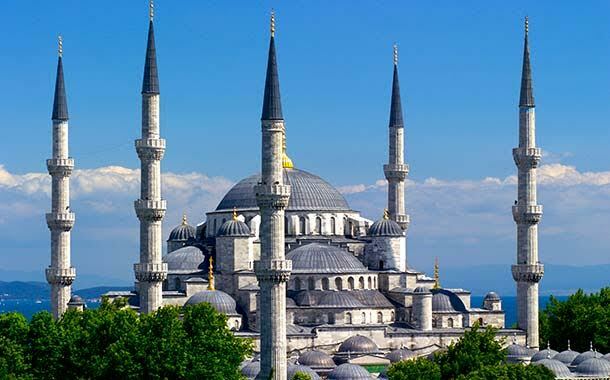 This beautiful landmark, in Istanbul, is also known as the Sultan Ahmed Mosque. Architectural style: Islamic and late Classical Ottoman. 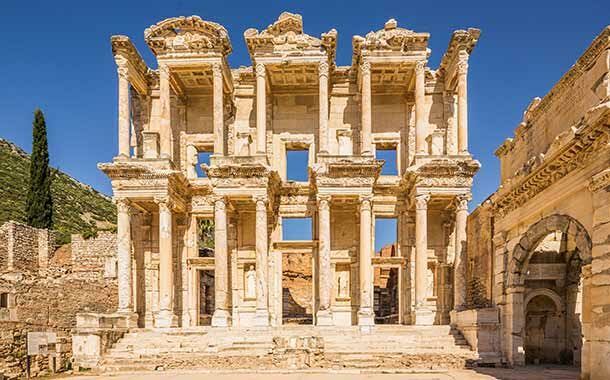 Located in Selçuk, İzmir Province of Turkey, Ephesus is an ancient Greek city which is now a UNESCO World Heritage Site. 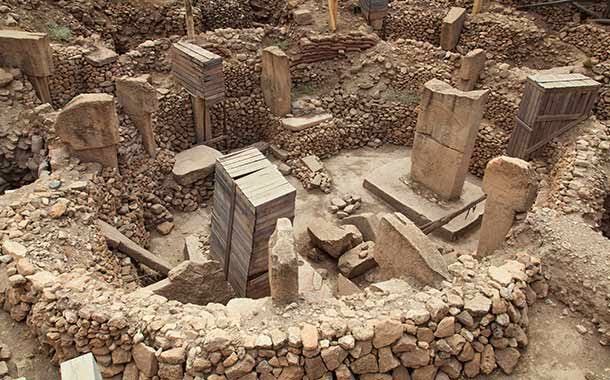 Gobekli Tepe translates to 'Potbelly Hill' in the Turkish language. This is an archaeological site mounted on a mountain ridge in Örencik, Şanlıurfa Province of Turkey. 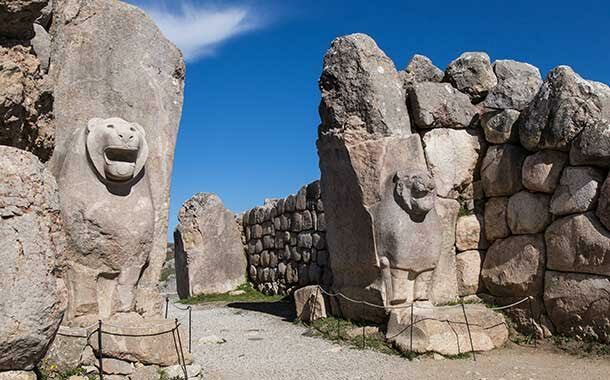 Another UNESCO World Heritage Site in Turkey, Hattusha was the capital of Hittite Empire (late Bronze Age). This is now in the present day region of Anatolia near Boğazkale. 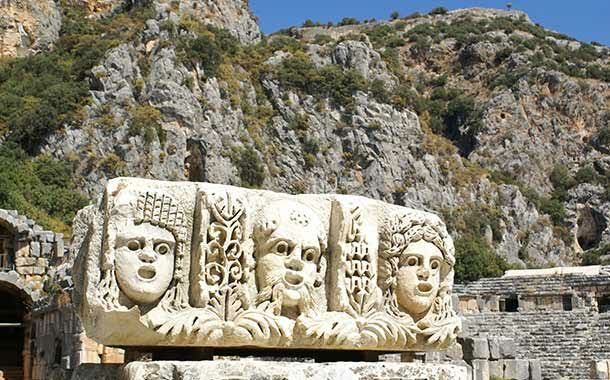 Another ancient Greek town, Myra is a beautiful settlement located in Demre, Antalya Province of Turkey. 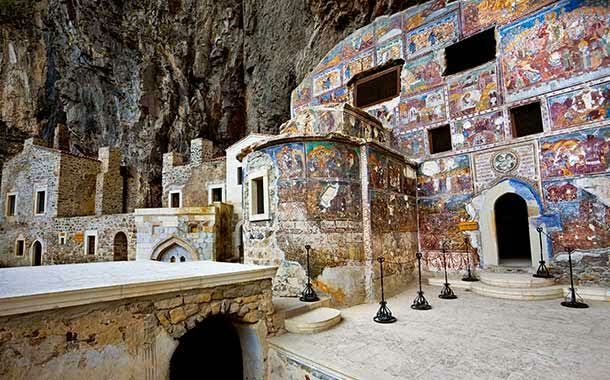 A Greek Orthodox Monastery, the Sumela Monastery is situated in Maçka, Trabzon Province of Turkey. 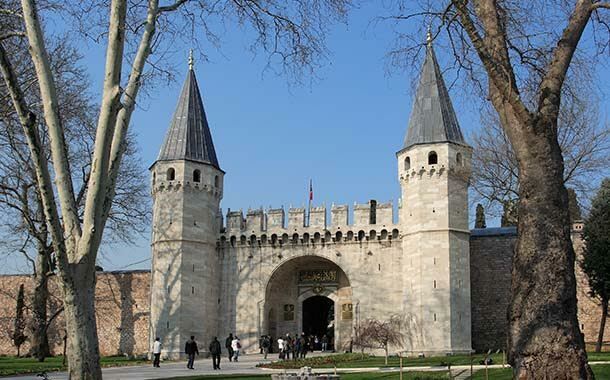 The Topkapi Palace, or the Seraglio, is located in Istanbul and was the royal palace and an important residence of the Ottoman Sultans for nearly four hundred years. Architectural Style: Ottoman and Baroque. 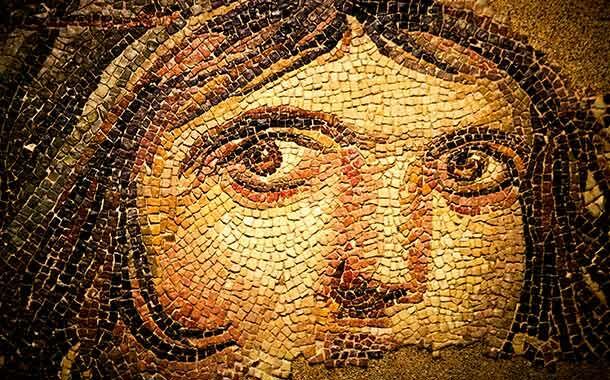 Located in Gaziantep, this museum is the largest mosaic museum in the world.